Blog activities such as weekly promotion and bestseller, associate monthly activities, in-house tutorials, etc. 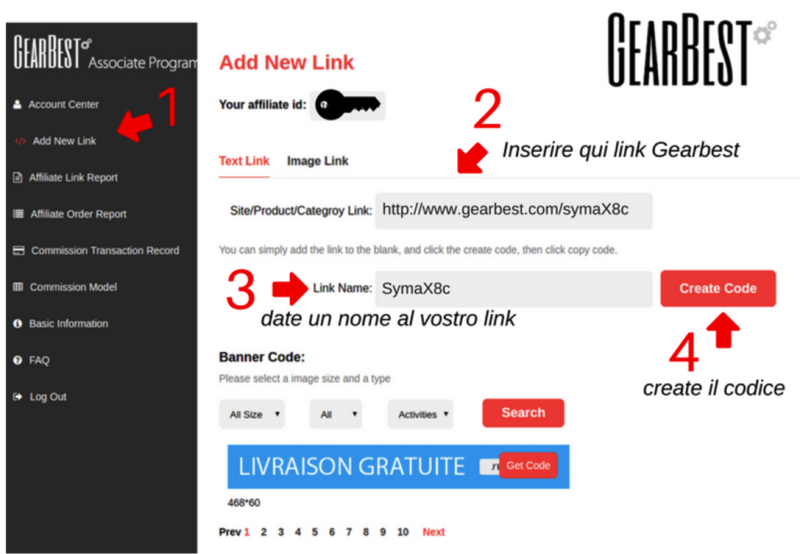 Subscribing to GearBest Associate program is free: you just need an online platform compliant with GearBest TOS. In this guide we will explain how to set up and use your affiliate account. You can shorten the link if you want, will still work! Cash Payout is available on PayPal, WebMoney for transactions above 100$. For bank transfer a minimum transfer amount of 1,000$ is required. Some GearBest employee also created an official Blog for all people, that are interested in the affiliate system and want to get some money out of it. Especially interesting for single affiliates and small businesses. Earn EXTRA Money with New GB Associate Program! Activity 1: From now to the end of June 30, 2017, people who become an associate can be granted VIP level in the first month and earn commission up to 12%. Activity 2: One million dollars GB points are waiting for you. Each aff with valid clicks can earn a GB point ($ 1.00) and settle once a week.